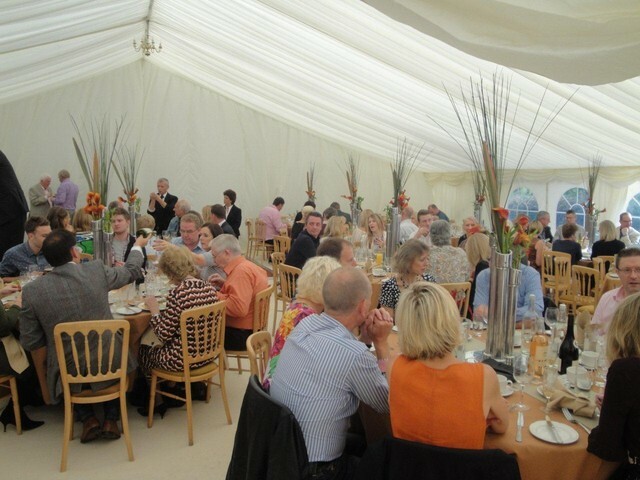 Private Party - 50th Birthday. 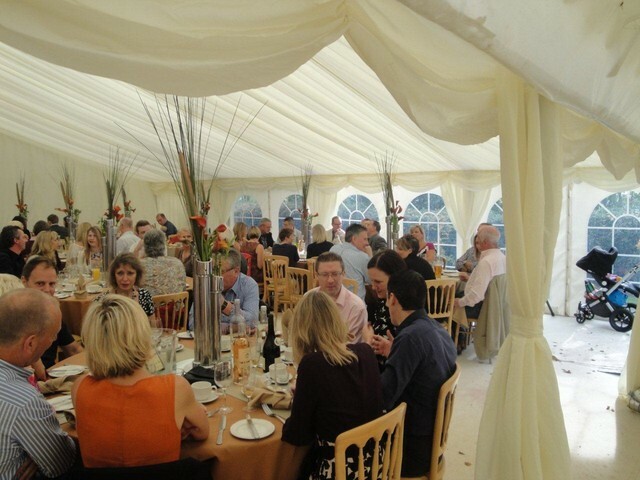 Create a fun and friendly atmosphere for a 50th birthday celebration. 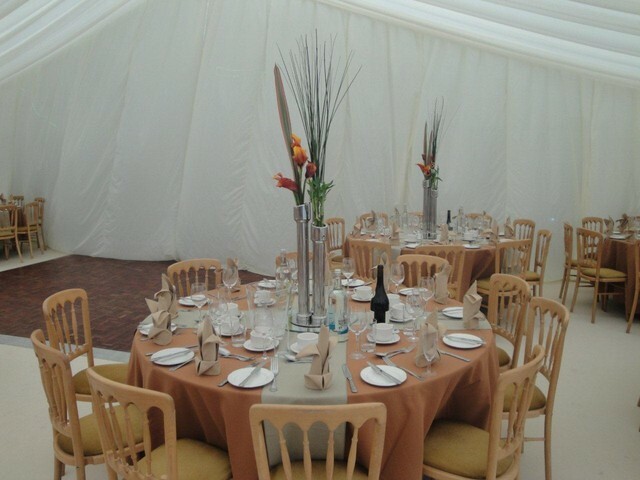 Install a dance floor, reception area, cloakroom, bar and create a formal yet fun theme utilising flowers for the table displays. 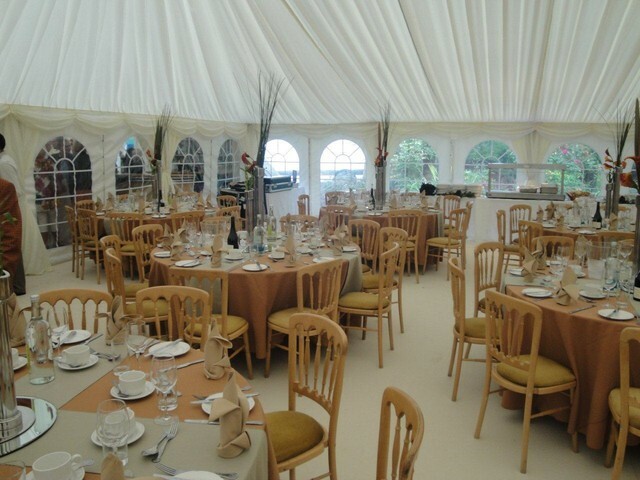 The marquee looked great! 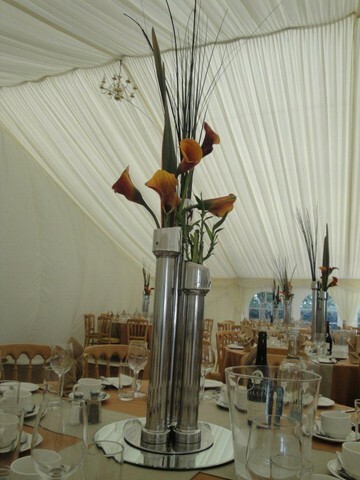 After consulting the customer we opted to utilise very tall floral displays housed in tall silver vases to enhance each table. 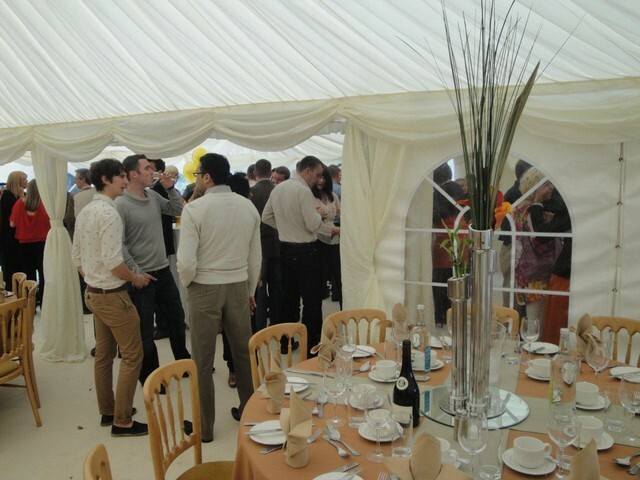 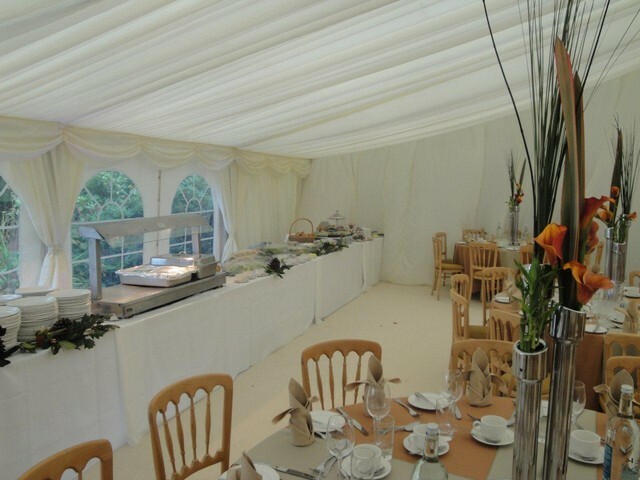 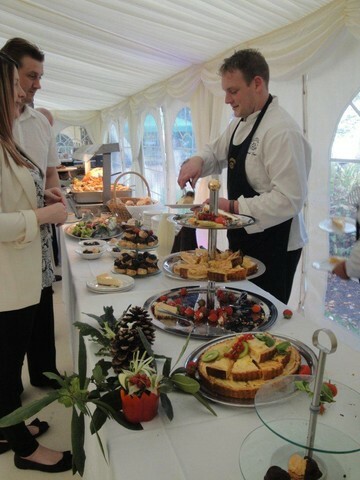 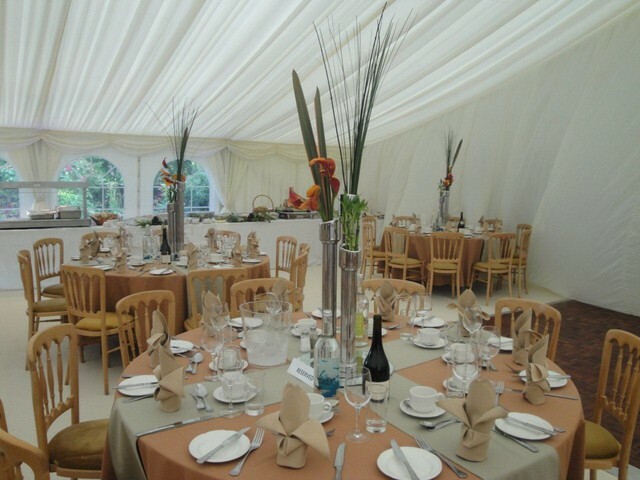 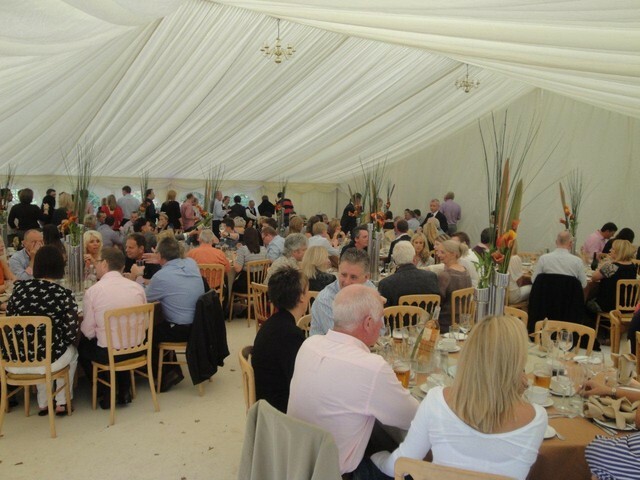 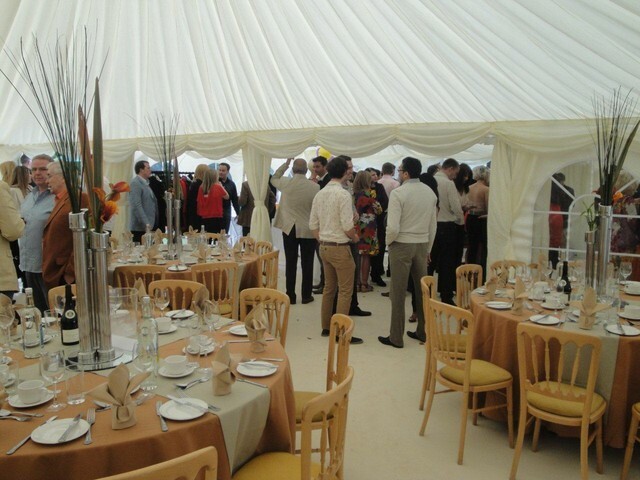 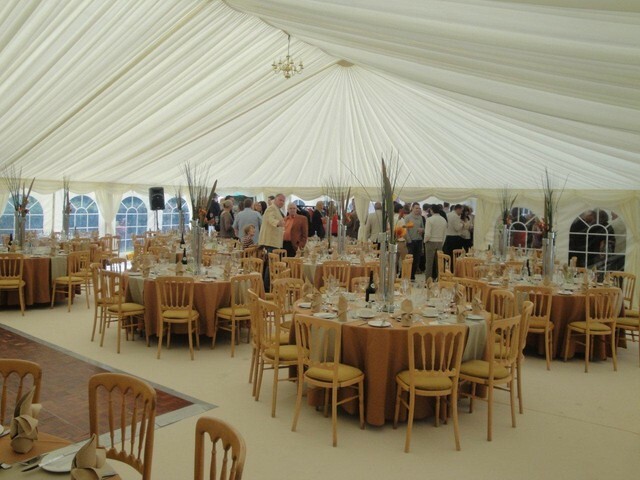 The marquee was erected without any problems, on time and to our usual high standards.